Do You Make this Parenting Mistake? "Wait till Your Father Gets Home!" Sometimes when we feel powerless as parents, we resort to bringing out the big guns. Have you ever found yourself saying things like, “Wait until your father gets home!” or “Wait until your mother hears about this!”? I’m here to tell you that if you threaten a child with what their other parent might do, you’re making two serious mistakes. The first is that you are giving up all your power and transferring it to the other parent. When you say, “You just wait till mom or dad hears this,” what you’re really saying is, “I don’t have any power over you, but the person who does have power over both of us is coming home.” Another message you’re communicating is, “I’m powerless just like you,” or even “You’re more powerful than me.” These are very ineffective messages to give children because they are not statements that hold them accountable or define the parent/child relationship in healthy terms. The second mistake that happens here is that the parent who says, “Wait until your father/mother hears this.” is setting the other parent up to be the bad guy, and that’s unfair. When mom comes home, her first job shouldn’t be all the unfinished business that dad has left. Believe me, that’s no way to start out your night when you’re dealing with children. If a parent needs to rely on their partner for something important, the way to say it is, “I think I have to talk to your father about this before I make any decisions. Please go do your homework or read in your room.” Be sure to emphasize “I.” And of course, that statement should be saved for things that are important, not minor behavior or back talking. A good example would be if your child steals from you or lies to his teacher. When faced with an important issue such as stealing, it doesn’t harm the situation at all for the parent to wait for their partner to come home. Remember, when dealing with any serious decisions where a response is necessary, waiting a little while or talking with another parent or adult never hurts and is always the preferred approach when dealing with emotionally charged situations. 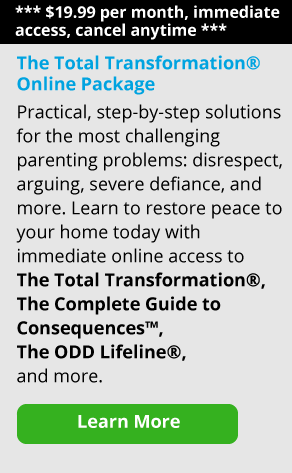 So instead of threatening your child with their other parent, present a unified front and emphasize the fact that you and your partner are making the decisions together.